Come and experience the spectacular Hawke's Bay. Boasting New Zealand's sunniest region with warm summers and mild winters and beautiful clear sunny days all year round, Hastings is an ideal destination at any time of year. Sample local wine and food, immerse yourself in local art, culture and architecture, challenge yourself with one of the many exciting activities available in the region. 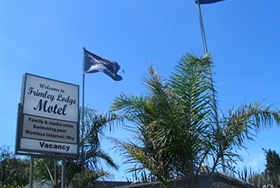 The Frimley Lodge Motel provides a central point from which to access this fantastic region and all it has to offer. Stimulate your taste buds with exquisite wines and local produce. Take a guided wine tour or explore the winery trail on your own. You can even explore the wine region and other attractions on a bike tour. Sample our local produce at our famous Farmers Markets or dine out at one of our many quality restaurants. Hawke's Bay is home to the famous and unique Cape Kidnappers Golf Course (rated as one of the top golf courses in the world) and a leisurely drive from the Frimley Lodge Motel in Hastings. 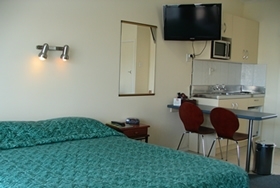 Other courses, such as Bridge Pa and Napier Golf Club (the oldest golf club in the Hawkes Bay are popular choices amongst guests and are only 15 minutes away. Why not try Mini Golf and Putt Putt with the family. There are also Golf Driving Ranges for the enthusiast honing their skills. Sample brilliant local arts and crafts on a local Art Trail. Learn about our rich heritage on a Spanish Mission and Art Deco Tour. Attend a conference or show at the Hawke's Bay Opera House, a 5-star Qualmark Environmental Award venue. Don't stay for a day or two, come for a week - there is plenty to keep the family amused. We are a 10-minute drive to New Zealand's only water theme park, Splash Planet. Gannet Safari Tours - By road or by Tractor to the Gannet Colonies.